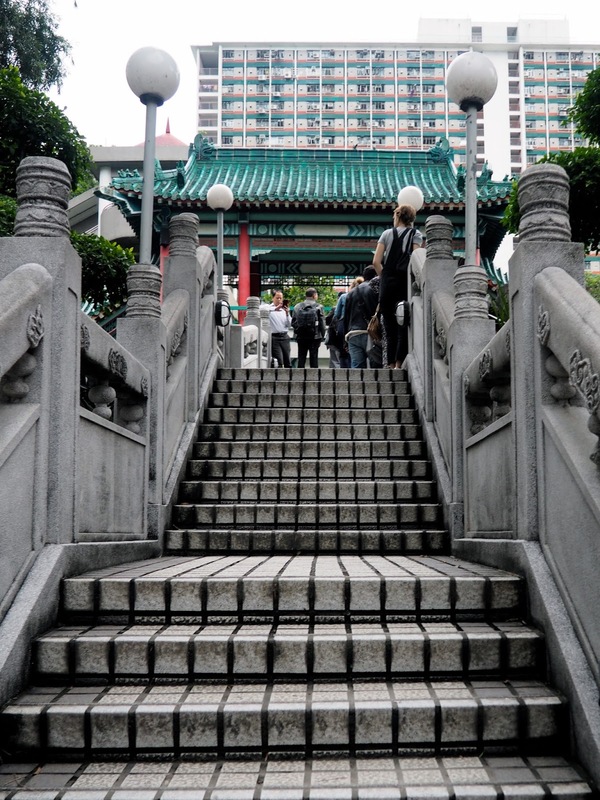 This past weekend, we headed out to see another of Hong Kong's more popular tourist attractions. 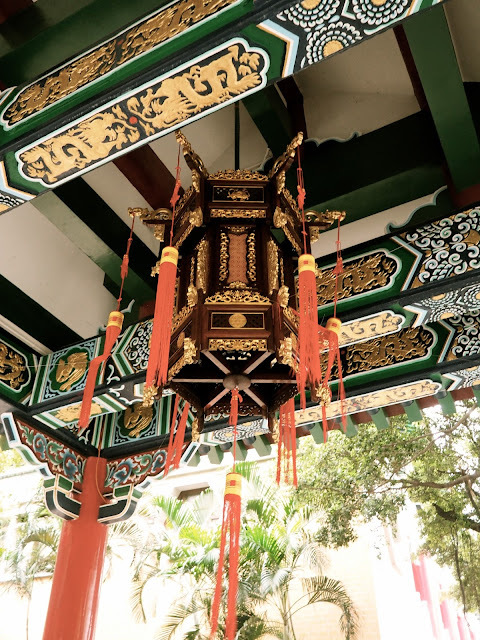 The city is bursting with temples, but Wong Tai Sin (also known as Sik Sik Yuen) Temple is one of the most popular, with its beautifully ornate, traditional architecture, and numerous pavilions hidden throughout its gardens. 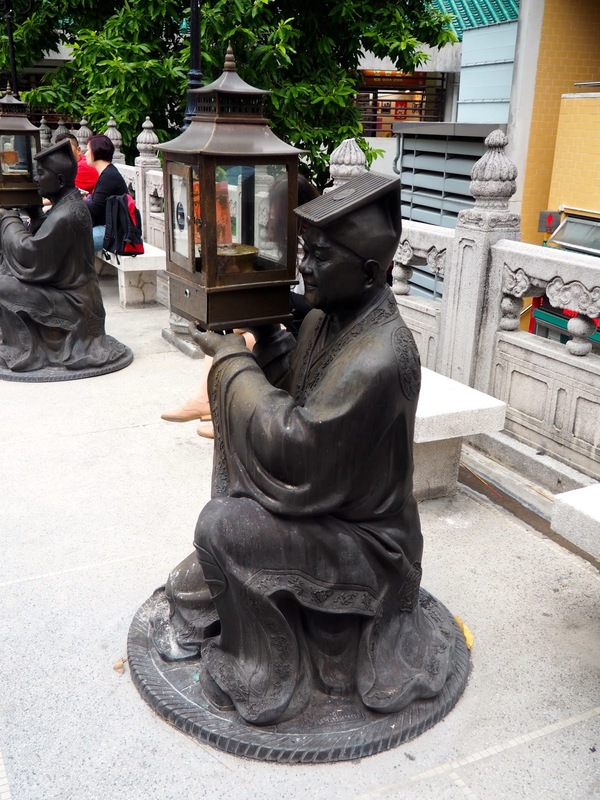 It is dedicated to a man named Huang Chu-ping, a 4th century Taoist monk, who achieved enlightenment and became a deity, known as Wong Tai Sin, which literally means "Great Immortal Wong". It's a predominantly Taoist temple, but locals worship the Chinese mix of Taoism, Buddhism, and Confucianism here, with some of the smaller buildings and shrines being dedicated to the latter two. It's a particularly popular place to come for prayers and wishes to be granted, and to have your fortune told. 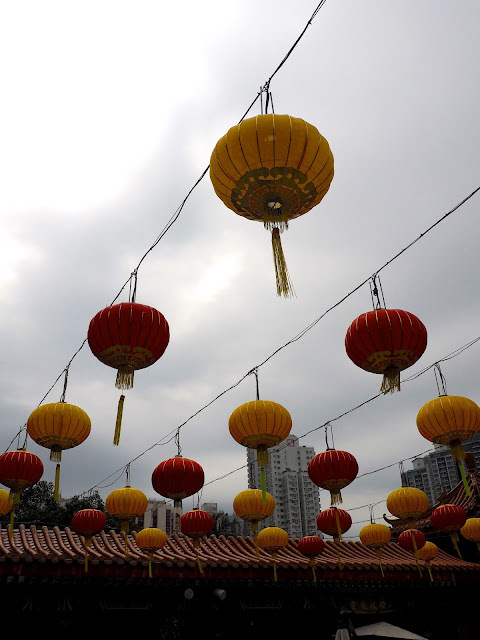 We entered the main courtyard first, with reams of bright red and yellow lanterns hanging overhead, which is just the beginning of the colourful display all around. You can't enter the main temple, but it's beautiful to behold from the outside, covered in delicate, detailed patterns, and decked out in reds, blues and golds. The buildings round the rest of the courtyard are similar, with this vast archway directly opposite the temple building. The central area is set aside for those praying, but around the sides you will find locals and tourists alike waving incense sticks. We gave it a try ourselves - you take three sticks, light them, and wave them in front of one of the deity statues while asking for your three wishes. Then you may make one more wish when you place your sticks in the sand tray to burn out. I'll have to wait and see if mine come true now! We skipped out on the fortune telling though, as none of us held much stock in that sort of thing, and they aren't cheap. Down the steps from the courtyard, you get a better view of the archway, and there are twelve statues at the bottom of the stairs, one for each of the 12 Chinese zodiac animals, which led to some internet searching to find out what all of ours are - I already knew I was born in the Year of the Dog, but it was a rather odd-looking dog statue! Beyond the main courtyard lies a maze of Chinese style pavilions and temples amongst the trees, with more elaborate ornamentation, statues of deities, and plenty of bright colours! 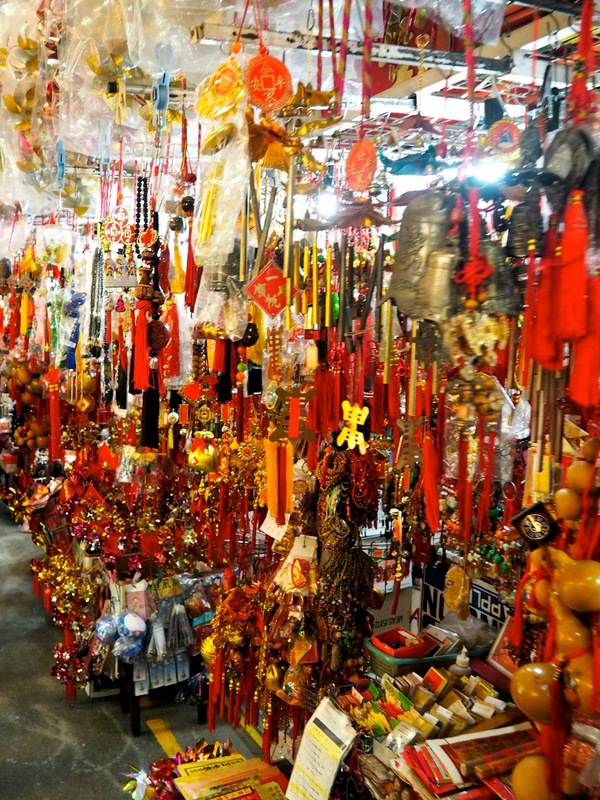 Among these are shrines and halls dedicated to Confucianism and Buddhism, as well as Taoism. After a while, they could start to look quite similar, but that doesn't necessarily lessen their splendour, and each is still unique in some way. Beyond all of them, you'll find the pretty Good Wish Gardens, with the colourful pavilions and bridges spanning a koi pond. We found a place to sit inside one of the pavilions, and it was perhaps the most peaceful moment of the day, tucked away in a little corner, with this most picturesque of views. The biggest drawback of this temple sadly, was the numbers of people. It's quite popular, even on an overcast day as this was, and it all felt a bit crowded and chaotic. I had similar feeling about the 10, 000 Buddhas Temple, which is undeniably grand and beautiful, but very busy. Neither has stood up to Nan Lian Gardens & Chi Lin Nunnery, which had an air of peace and serenity to the whole place that both these other sites have been lacking. Regardless, it's lovely to find this beautiful, traditional architecture in the middle of all these modern (sometimes ugly) skyscrapers, and I always find glimpses into local culture and customs fascinating.